Vancouver, – The premiere, independent resource for finding North America’s leading environmental papers is newly updated and ready to serve you better. With so many mills making ecopaper claims it’s essential that companies promoting sustainable brands choose and use ecopapers that have earned the Environmentally Superior designation from leading environmental organisations. 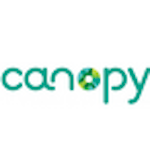 Canopy’s Ecopaper Database, supported by the Environmental Paper Network, is the best place to find these papers, including more than 440 of the leading ecopapers available in North America. The freshly updated Database has added 86 new papers, and offers the most comprehensive list of papers containing “Second Harvest” fibres made from agricultural residue such as wheat straw. The Ecopaper Database includes ecopaper category leaders for book, magazine and newspapers publishers, as well as copy papers, commercial printing papers, tissue, office products (planners etc. ), stationary, fine-text-writing papers, packaging, board, and now molded fibre products like wheat straw bowls. All papers listed in the Database have been screened according to The Paper Steps, a paper-grading tool developed by consensus of the Steering Committee organisations of the Environmental Paper Network. Canopy first developed and has been maintaining the Database for more than 10 years now, and we are very excited to share these updates with you. Check out the newly updated Ecopaper Database today. Just search the list by company name, type of paper, or other options. Choose multiple categories to narrow your search and get a detailed list of the best ecopapers on the market. ABOUT CANOPY – Canopy is a not-for-profit environmental organisation dedicated to protecting forests, species and climate. Canopy collaborates with more than 700 companies to develop innovative solutions, make their supply chains more sustainable and help protect our world’s remaining ancient and endangered forests. Canopy’s partners include Sprint, EILEEN FISHER, TC Transcontinental, Quiksilver, Random House/Penguin, The Globe and Mail, Scholastic and Lonely Planet. Canopy’s work relies on the support of individual donors who share our passion for the planet.